Thanks to our sponsors A Little Pizza Heaven and PMA! 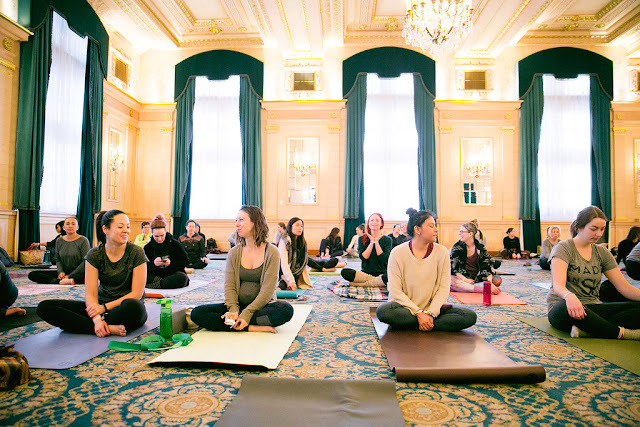 Another awesome Prairie Yogi event comin' at cha! 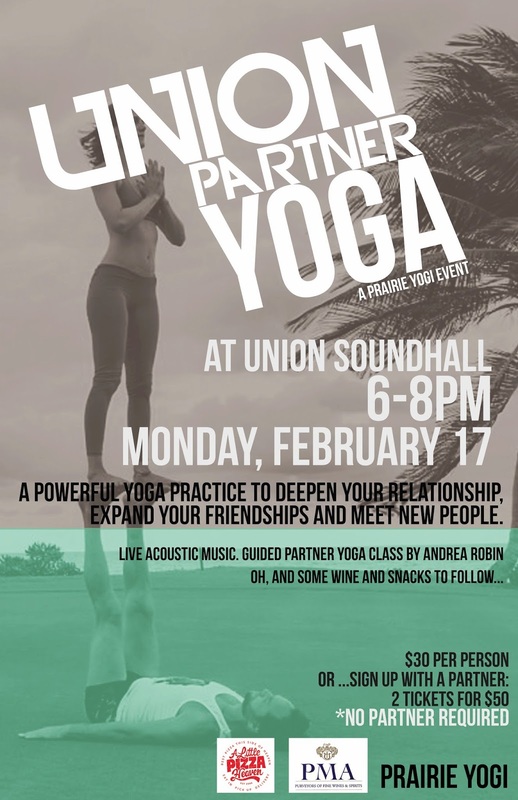 On Monday, February 17th 2014 UNION- A Partner Yoga Event will be taking place at Union Soundhall from 6-8pm. 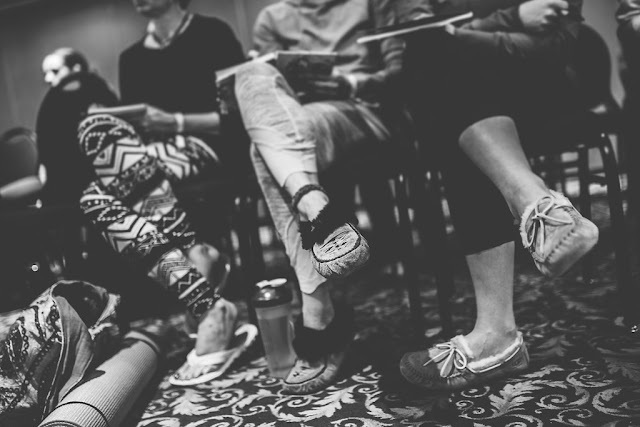 This evening, guided by Andrea Robin, will be a powerful yoga practice meant to deepen your relationship, expand your friendships and meet new people! Afterwards, we'll have wine and tasty snacks for everyone to enjoy.